The best friend (and victim!) of the world's most famous cat is back! Here's Odie! The best pal, (and victim! ), of the world's most famous cat, he is sure to win you over with those big puppy dog eyes and floppy tongue. 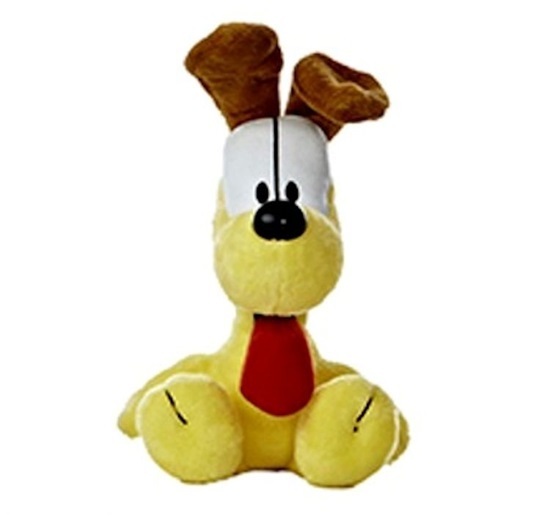 "Odie" is a 8-inch soft plush yellow pup with brown plush floppy ears and a soft plush long red tongue. He has two black spots, one on each side, and a little black tail. His black plastic nose is sure to sniff out some adventure in his new home! "Odie" is surface washable and good for ages 1 and up.